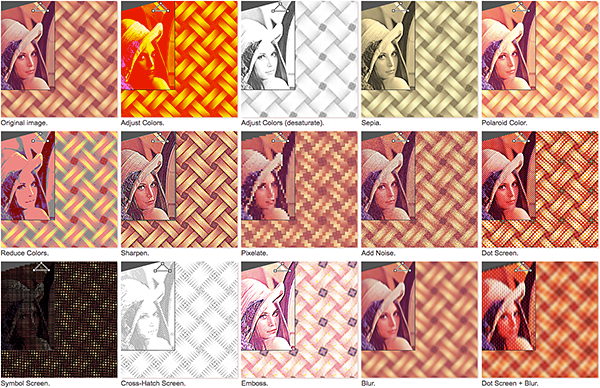 Importantly, filters in SymmetryMill are applied to the source image, not the end pattern, so your pattern always remains in repeat and there are no distortions on boundaries in the repeating tile, no matter how many filters are applied and in which order. Have fun checking out the new filters. Start by downloading the latest SymmetryMill. Also see Using Filters in the user guide for more info about filters in SymmetryMill 2.